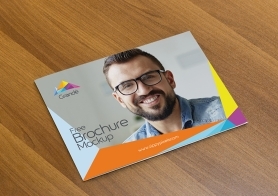 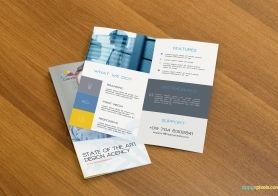 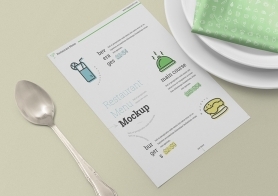 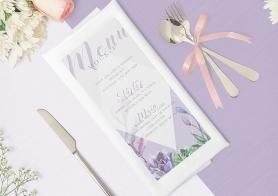 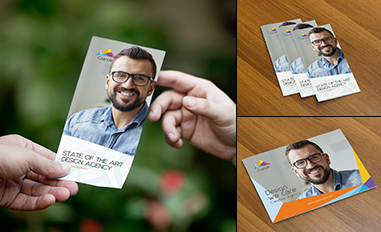 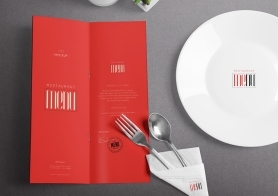 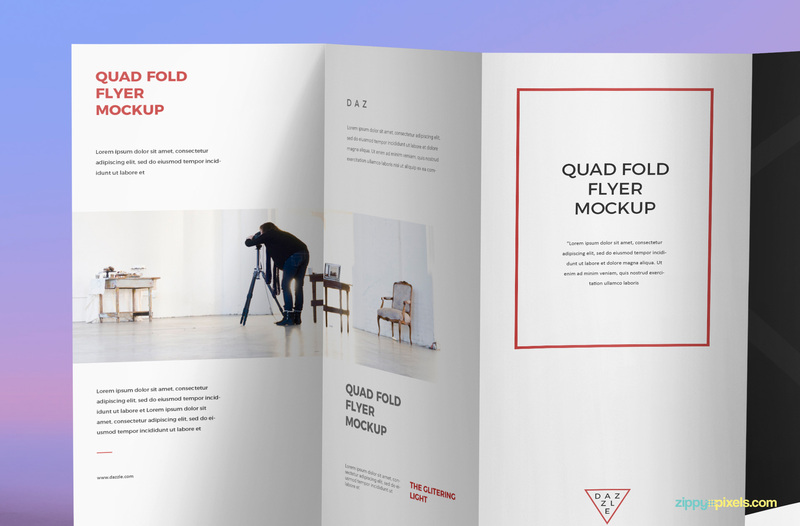 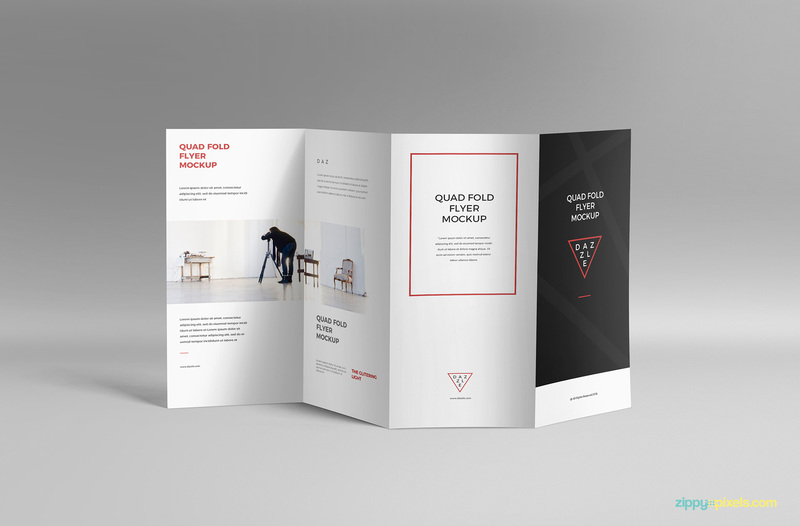 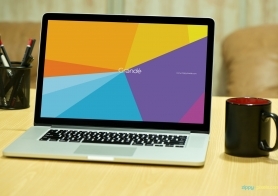 This free 4 Fold Brochure Mockup is here to help you present the final layout of your designs. 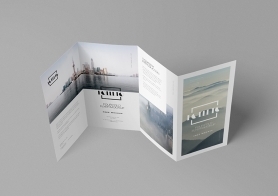 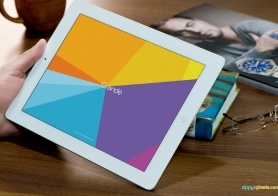 It offers four smart objects of size 3.897 x 8.267 inches each to change the designs of the brochure. 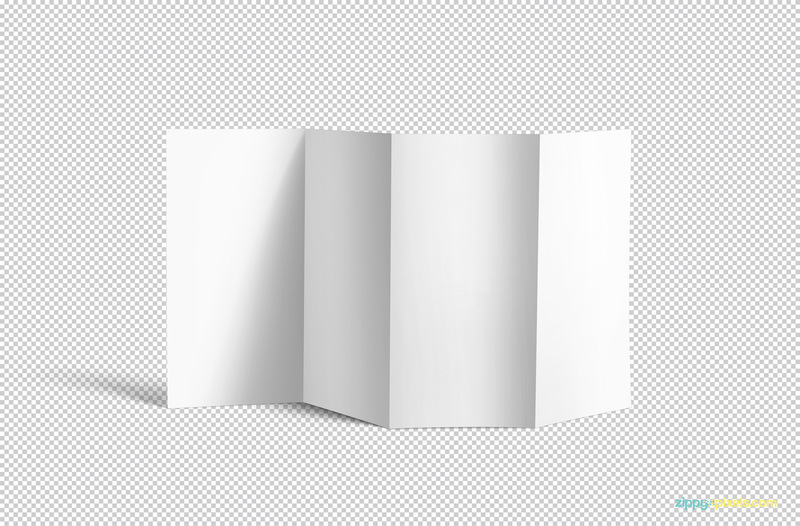 Use its well-described layers to change the background, shadows and light effects. 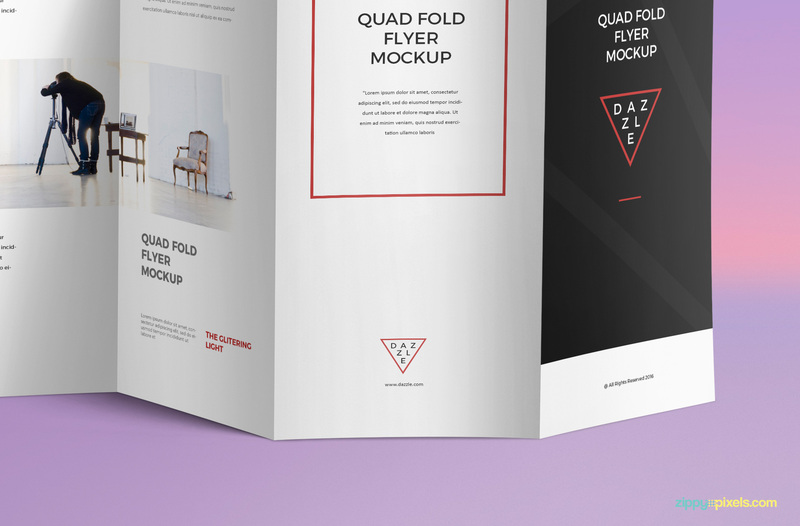 Download this free mockup now and showcase your flyer designs professionally. 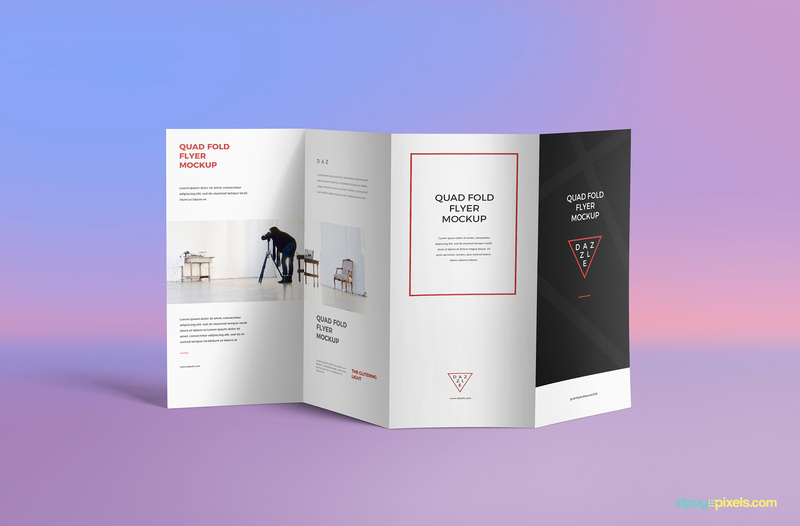 Please share your experience in the comments box below.